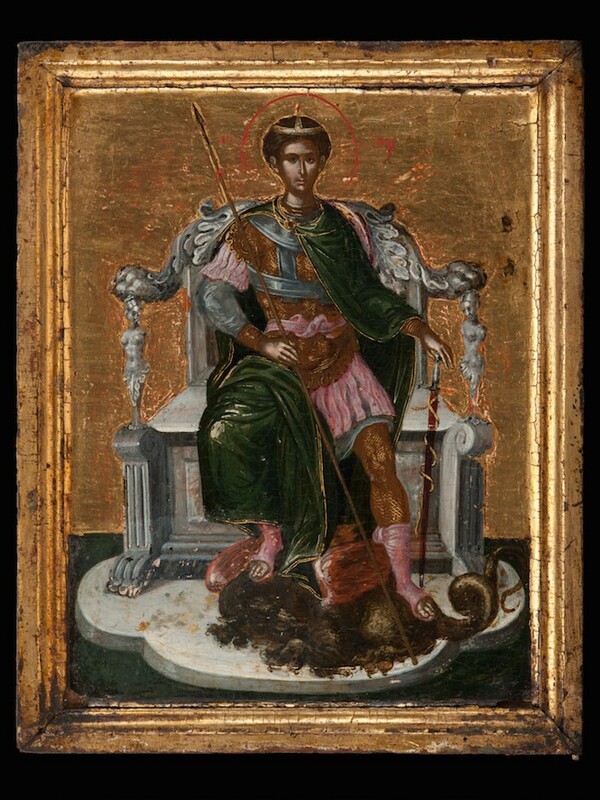 An enthroned Saint Demetrios, a work of the Cretan School, may be the work of El Greco in his Cretan period. An unknown painting of Domenikos Theotokopoulos was discovered in Italy and will be exhibited for the first time in October. 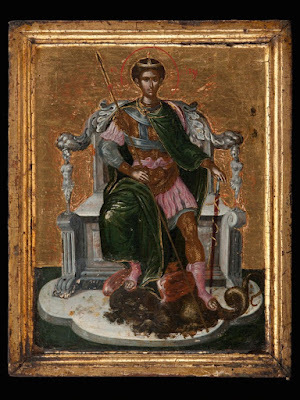 It depicts Saint Demetrios enthroned, of exceptional beauty, which undoubtedly belongs to the Cretan period of El Greco. This is the least known period of activity of the great artist, and we have only two other icons of his from this time. As explained to us by the Italian conservator Mariella Lobefaro, who made the discovery: "Surely it is a work that is from the period before 1567 and therefore extremely rare: it is the only one that reached us in such good condition." Even though the icon, which is on cypress wood, bears the signature on the back "Hand of Domenikos", it took several centuries to recognize the "hand" of the great artist. A German collector bought the icon last year in an online auction that made small house works of art. The seller had described it as "Post-Byzantine Cretan School", without further details. The German collector, however, immediately after the purchase, informed the maintainer that the icon was signed by a striking name. The German turned it in to two experts of holy icons: the Italian Lobefaro and to a Greek maintainer of Benaki Museum, where there is also a valuable Luke the Evangelist with the signature of El Greco. The Greek expert did not validate the authenticity of the icon: he considered it the work of another Cretan painter named Domenikos, or the icon was one of numerous fakes that had overwhelmed the European market in the 1950's and 1960's. At that time counterfeiters took authentic icons of the 16th century and added the name of Theotokopoulos. 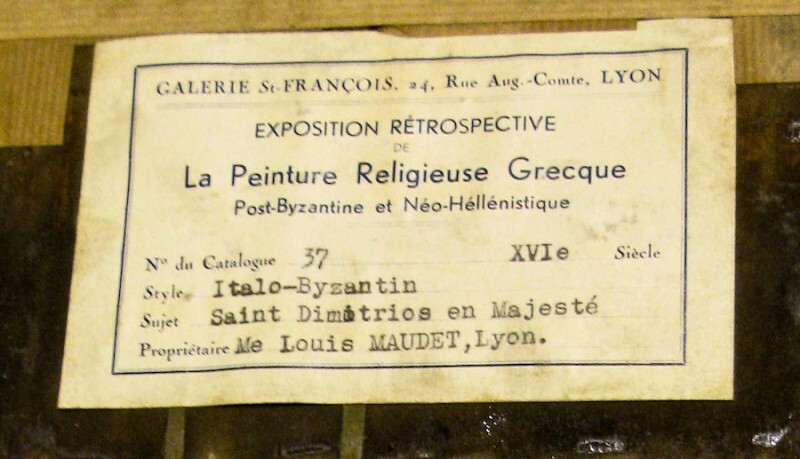 The Italian followed another path: she searched its history and found that Saint Demetrios had already been exposed in a major exhibition in Lyon in 1935. "Both the artistic style and laboratory investigations that we began in May has confirmed that the signature is his and that it is an authentic El Greco", now says the Italian conservator. The discovery was ratified by Professor Lionello Puppi who teaches History of Art at the University of Venice. Saint Demetrios was to be presented in a large exhibition "The Legacy of Byzantium" with more than a hundred icons that will open on August 8th in Bellagio of northern Italy. But once they ascertained to whom the famous icon belonged, the destination immediately changed. The public will be able to meet with El Greco in the special report dedicated to it.